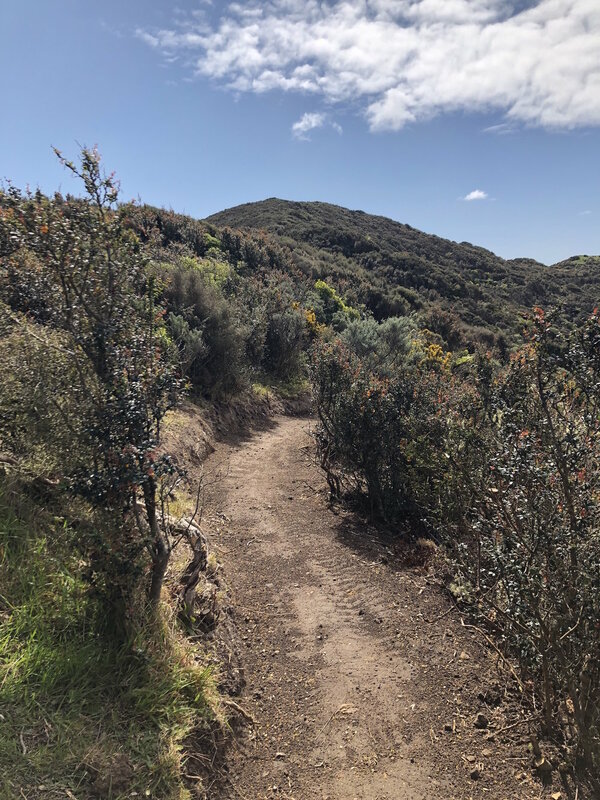 2019 dig days at Makara Peak have kicked off in fine style with progress continuing on the new section of Starfish. 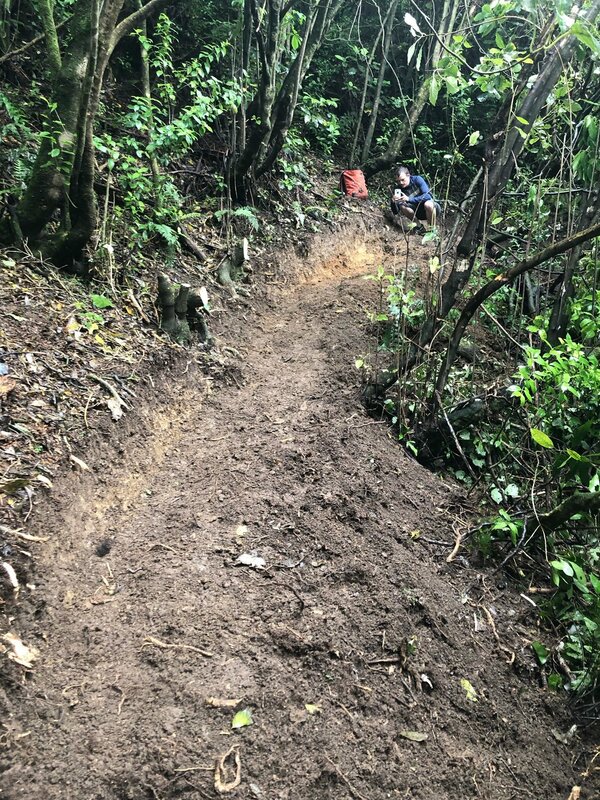 Around 250 metres of fresh new grade 4 trail is pretty much now complete, plus we’ve been fine tuning corners, and adding a wall ride and berm to the line. It’s shaping up nicely as a fast but challenging bit of trail. We’re nearing one of the major features, that will see the new trail drop down steeply into a dry stream bed before exiting via a wall ride/step up/appropriate feature of some sort. Thanks to everyone who’s turned out - what’s really exciting is seeing all the families and kids coming along to lend a hand on what we’re sure will be a favourite with the young pinners. Great progress with 20 keen men, women and children on the tools. Most of the digging was in the shade of a section of mature regenerating bush. Just a bit of benching and shaping with plenty of roots left in place to reflect the grade 4 conditions. A team from the Commerce Commission were on site this week donating some of their work time to help progress the Starfish build. 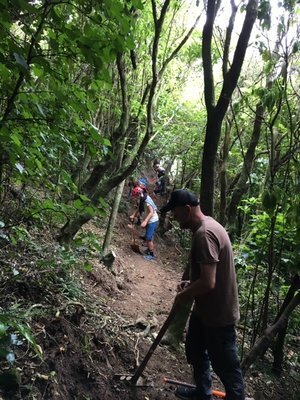 With help from Ranger Frank from Wellington City Council, the team did a couple of hours of hard work roughing out another 10m of trail and clearing some trees - despite some damp weather. A huge thanks! We got through another 25 hard fought metres on Saturday. 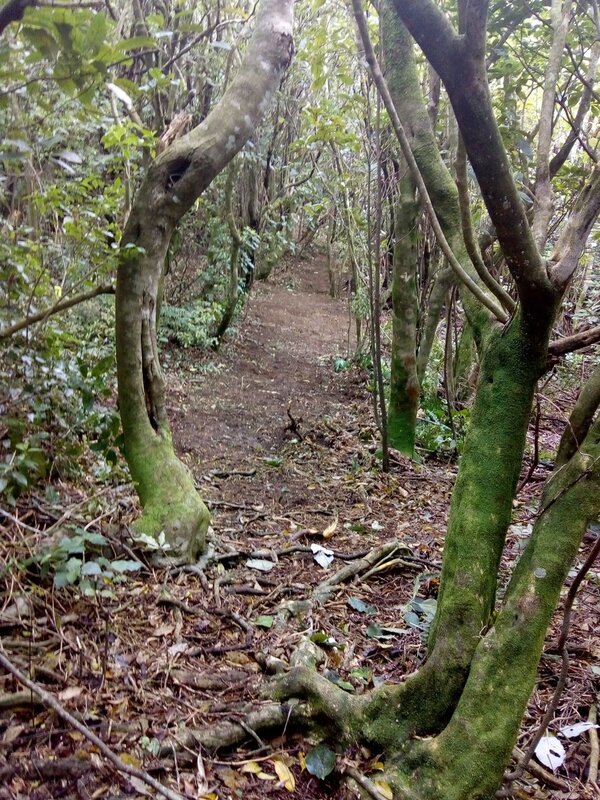 We’re now back into some nice forest which provides more cover from the relentless Wellington summer sun (!). 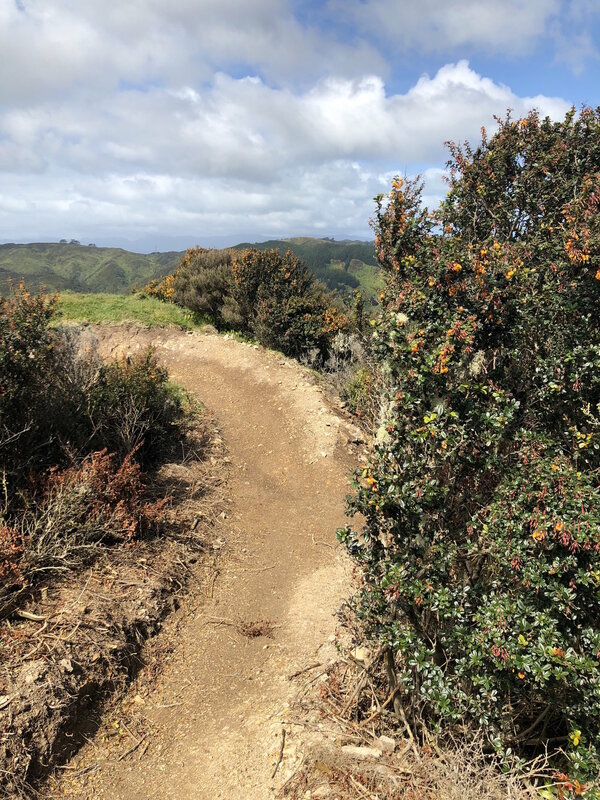 A big thanks to Caerwyn, Wyatt, Phil, Rebeca, Miles and LLyod, Johnny, Ryan, Austin, Nick, Garth and Iain for putting in the hard yards so everyone can enjoy more advanced (grade 4) singletrack goodness at Makara Peak. We’re back next Saturday from 10am. Only two more sessions to go in 2018 before a well-earned break over Christmas. Despite the weather gods continuing to not place nicely, good progress has been made on the new “Starfish Extension” line which starts at the end of Ridgeline Extension (so many extensions…). We’ve cleared about 200 metres which is about the equivalent of the length of Big Tom’s Wheelie. We’re focussing on building it to complete standard before progressing on - there’s quite a lot of water run-off from SWIGG and Big Tom’s so we’re working hard to find the right balance of leaving roots and rocks while making the trail surface sustainable (i.e. not a bog). Quick dig today before the rain hit - the first berm is coming together nicely thanks to the large rocks provided by Horokiwi Quarry and delivered by Rapid Earthworks. This section will get a rock garden added before the track is opened. 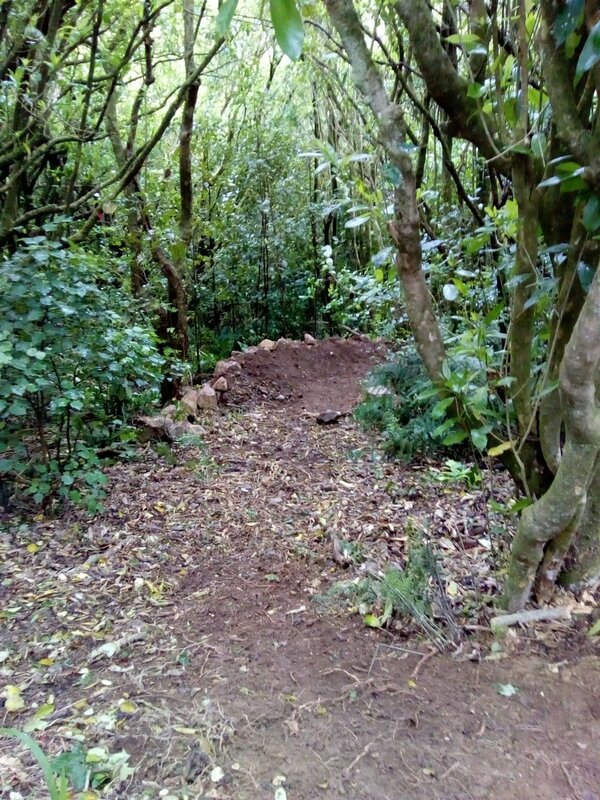 We’re building some awesome new grade 4 single track from the end of Ridgeline Extension down to the start of Starfish. It will be a similar style to Ridgeline Extension with rollable drops and jumps, optional hard lines and plenty of stoke. We’ve scoped the line and it’s looking pretty sweet. 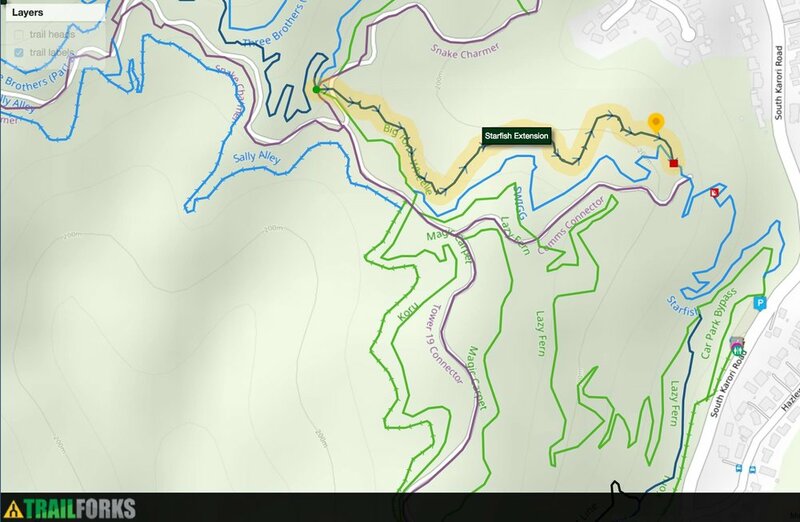 Check out https://www.trailforks.com/trails/starfish-extension/ for a rough map and line. The final piece of the Upper Leaping Lizard puzzle was tidied up this week by Ricky, who widened, tweaked, and finished off the short link between the new (upper upper?) and lower (original/lower upper) bits of track. So you can now avoid the pinch climb all the way up to the 4WD track. TGL have been busy upgrading the lower section of Upper Leaping Lizard over the last few weeks, which has been paid for by WCC. 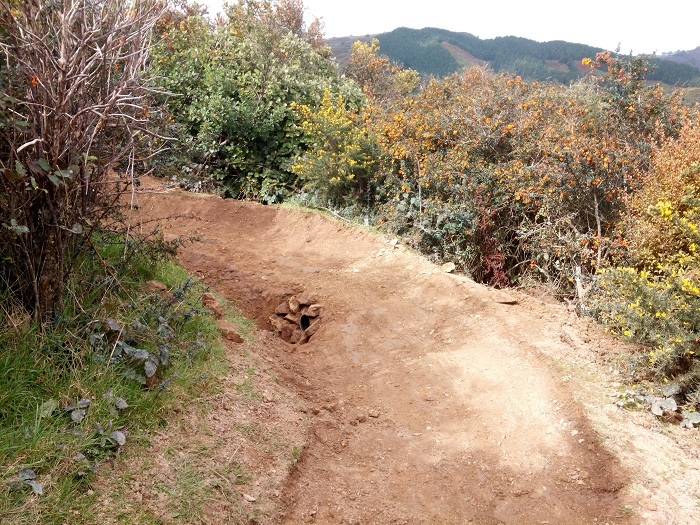 They’ve been widening some narrow sections, removing ruts, improving the drainage, berming up some corners, and building an intermediate bypass of the advanced steep rocky section - which is being kept open for those who prefer a steeper line. The best of both worlds! They’ve done a great job retaining as much of the natural, rugged feel of the track, while giving it an update as it hasn’t seen any major maintenance in quite a few years. This is a key section of track that all riders will use to access the south west corner of the park, where we’ll be building a lot of new intermediate and advanced grade tracks. So getting it back to intermediate grade was a priority. There are some great views from the track over Cook Strait and the South Island, plus looking back to the swing bridge and the Peak. 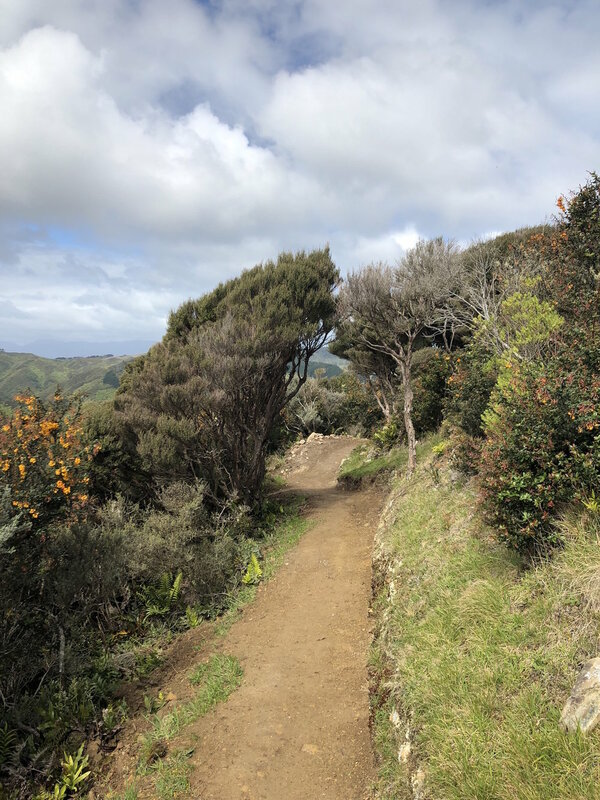 Once it’s complete, there’s going to be a great intermediate loop in the South West from the summit down Upper Leaping Lizard, into the easy section of Leaping Lizard and then back along Supa Kanuka and Aratihi. 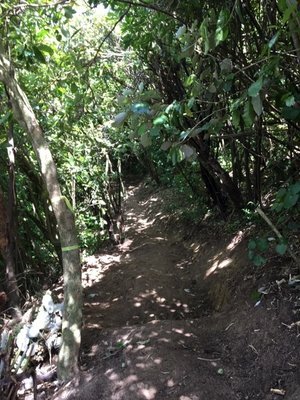 Advanced riders have got a bit more choice with Nikau Valley or Leaping Lizard into Bail Out or back up via Possum. We’ll post something on Facebook as soon as it’s open - only a couple of weeks of finishing and surfacing to go. Tweaks made to bottom corner on Ridgeline. Ricky, Scotty and Red Dawg made some tweaks to the bottom corner on Ridgeline on the weekend. The big ruts are gone, now replaced with some rock ledges which provide hard or harder lines. If you haven’t ridden Ridgeline recently - get into it. It’s pretty sweet at the moment. Westpac built us a new jump! The good folk from Westpac took a day off work and fixed up Ridgeline Extension after you guys and gals spent all winter doing skids on it. When they finished that, they planted some trees and built this sweet jump! Ricky has been tweaking, rock breaking and armouring on the top (older) section of Ridgeline Extension. It’s looking pretty mint! Designed to improve flow and drainage, we’ll continue to increase the fun factor and incorporate new features.